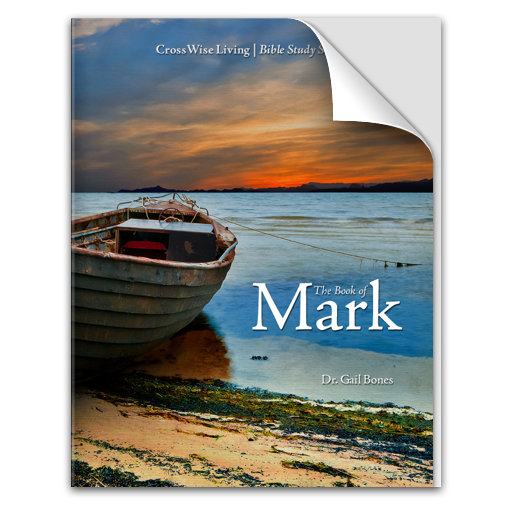 CrossWise Living: The Book of Mark is the second in a series of in-depth, inductive Bible studies designed to be used by small groups or individuals. Discipleship resources created by CrossWise Living Ministries are designed to promote intergenerational ministry and mentoring relationships. Discover the heart, mind and strength of Jesus Christ, the Son of God, in this inductive, interactive 10 Lesson Bible Study useful for both men and women. Groups of all ages will be inspired by this valuable resource for fostering cross-generational relationships. After the first introductory lesson, for each of the ten weeks ahead you will have 5 days of homework to complete. Although you may wonder now how you will find the time to do this, you cannot imagine how beneficial it will be until you actually make a commitment to study the Word of God for yourself. When you ask God to help you fit this in to your daily schedule, he will show you, giving you the time and energy to keep your commitment. You will be discovering the delights of searching the Scriptures on your own, using both the Old and New Testaments to find answers to questions that will range from historical information to personal application. CrossWise Groups – Class sessions will start with a 15 minute flexible group discussion to review last week’s lesson(AQ1 each week) and discuss the entries on the ongoing Heart, Mind and Strength of the Son of God chart project. Participants will be in a different, intergenerational group of 4 each week. Whole Class – The flexible group session will be followed by a whole group discussion, where you may be asked to volunteer to share your answers or look up Bible verses to read aloud. The focus during this part of class will be on gaining and sharing knowledge. Small Groups – Finally, you will meet in your designated small group for discussion of the personal application questions (marked AQ). The focus here will be on gaining wisdom, which is the ability to apply the knowledge you have gained. Because you will be in a smaller group, you will have more opportunity to share the details of how God is working in your life as a result of your study of his Word. The final 15-20 minutes of your small group will be devoted to sharing prayer requests. It can be helpful to ask members to come prepared with their request written out so that they can share briefly and concisely. This workbook contains a place for you to record prayer requests as each member shares.